The Peanut Color Sorting Machine are designed in accordance with most exacting standards of food hygiene and excel in the most difficult of food sorting applications where the strictest levels of food quality and safety are demanded. Our Peanut Color Sorting Machine are able to sort white peanuts ,red peanuts ,peeled peanuts and peanut in shell,raw,balanched and roasted peanuts. 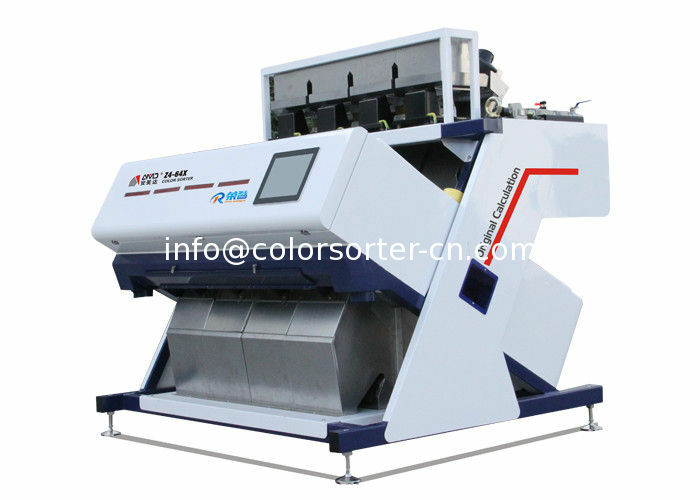 Our Peanut Color Sorting Machine can detect and remove visible defects such as stones,grass,nut grass,stalks,stems,raisins,shells,discoloration,soy,bones,wood,corn,glass,and in shell as well as invisible to the human eye defects such as aflatoxin.